GENEVA, Switzerland, November 22, 2013/African Press Organization (APO)/ -- IOM Somalia has brought together 41 Somali diaspora experts from Canada, Denmark, Finland, Netherlands, Norway, the United States and the United Kingdom to develop a three-year strategy for institutional capacity development in Somalia. 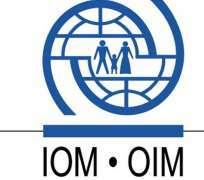 The group, meeting at IOM's annual Migration for Development in Africa (MIDA) conference, will provide a strategy that will guide IOM's intervention in capacity development in Somalia over the next three years. MIDA is an institutional capacity-building programme that aims to mobilize competencies acquired by African nationals abroad to address the human resource needs of the continent. At the request of local authorities, IOM currently deploys Somali experts on short-term skills transfer assignments and embeds them within government institutions across Mogadishu, Puntland and Somaliland. IOM has vast experience of designing and implementing programmes aimed at utilizing the skills and knowledge of qualified nationals around the world, including programmes in Latin America, Asia and Africa. In 2001, the African Union asked IOM to help African countries to encourage and facilitate the return of their qualified expatriates. IOM, in cooperation with African sub-regional bodies including the Economic Community of West African States (ECOWAS), the Southern African Development Community (SADC), the East African Community (EAC), and the Maghreb Arab Union (UMA) is developing partnerships aimed at reinforcing the links between migration and development in Africa. In Somalia, IOM's MIDA Programme is supported by Sweden, Finland, Japan, the United States and UNDP.